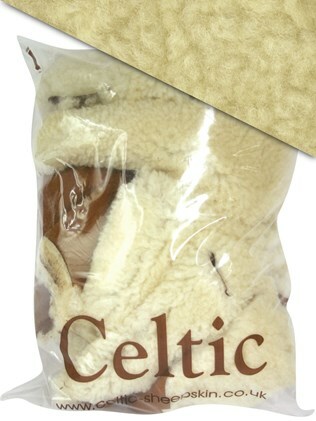 Welcome to the Celtic Shearling Craft Store! 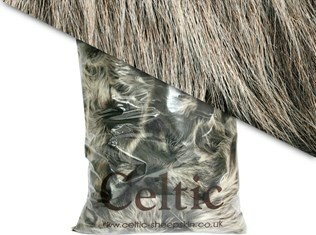 Celtic Shearling is committed to recycling. Almost all of our shearling boots and slippers are made in our factory in Cornwall and we’ve got pretty good at using as much of the skins and other materials as possible. For example, when cutting out from a skin, we first cut panels for adults boots and use the smaller off-cuts for children’s boots. Inevitably however we are left with some small scraps of shearling, suede and sole material that are either too small or not the correct size to fit any of our products. For a long while now we have been recycling every piece of paper and cardboard and all tins, bottles and ink cartridges used by staff. We have been looking for a way to recycle our factory waste products to make us 100% efficient in waste disposal. On some occasions we have donated scrap materials to schools, which got us thinking about using our off-cuts for crafts. So we have spoken to seamstresses and tailors alike who have all raved about the possibility to make teddy bears and patchwork quilts from our shearling and suede and even rubber stampers who would love the opportunity to get hold of scrap rubber! From such feedback we have decided to create our own 'Craft Store'. Our Craft Store has been designed for anyone who loves the challenge of making something out of not very much – it’s quite a test to create a soft toy from only small pieces of fabric, especially a tougher one like suede, and we’re convinced many would love the opportunity to take up this challenge. Also, as it is our scrap, we’re keeping the price low to reflect only the packaging and sorting costs of creating a bag of one particular skin. It would be fantastic to hear what our customers are making from these bags of scrap, so if you have any pictures of your finished items, please send them in! Of course, if you can think of another way you feel we can recycle these materials, or would like to discuss taking bulk amounts, do get in touch as we’d love to hear any suggestions. Just call us or send an email.